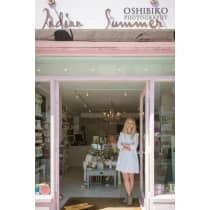 Indian Summer is the Parsons Green based lifestyle boutique, selling a colourfully curated mix of clothing, accessories, jewellery, homeware and stationery. Founded by mum and entrepreneur, Ruth Green in 2004 who wanted to create a lifestyle store in London that offered a more relaxed approach to style and shopping. Indian Summer offers a message of optimism, fun and a relaxed, luxurious approach to style. This bright and vibrant store champions new and super stylish brands and products in a laid-back environment. "Only the best and most beautiful make it into our boutique, which is why VOGUE chose us for its list of 100 greatest shops – 'the secret addresses you must remember'."